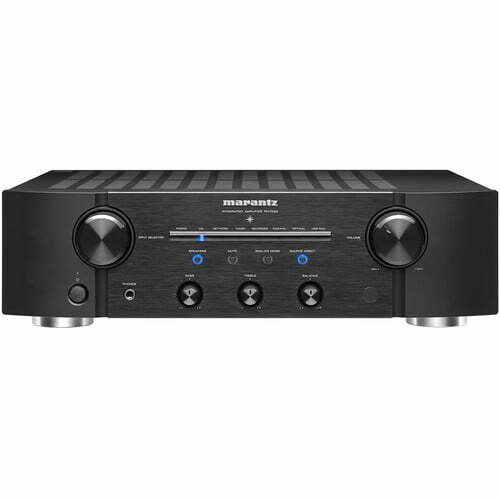 Marantz PM7005 2 Channel Digital Integrated Amplifier "B-Stock"
The versatile Marantz PM7005 features multiple analog and digital inputs, including optical and coaxial digital inputs along with a USB-B 2.0 for direct connection to computer high resolution digital audio sources. 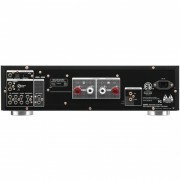 Featuring the reference-class CS4398 high resolution D/A converter, the PM7005 can decode high resolution digital audio files up to 24 bits and 192 kHz sampling. 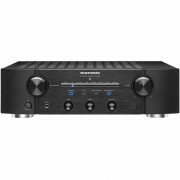 It’s also compatible with DSD 2.8 MHz and 5.6 MHz high resolution files (the same system found on SACD), and the asynchronous USB-B port also features jitter removal for the most pristine sound quality. 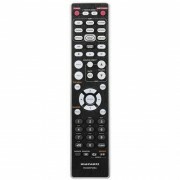 The Marantz PM7005 is equipped with numerous analog inputs, including dual recording inputs and outputs, and features coaxial and optical digital inputs, along with a USB-B 2.0 asynchronous input for high resolution computer audio files. The Marantz PM7005 features our latest HDAM-SA3 (Hyper Dynamic Amplifier Module) components, which consist of matched precision discrete selected circuit elements on a compact sub-board, instead of conventional op-amp integrated circuits. HDAM modules are used in the phono amp/equalizer block, the digital audio block and in the power amplifier block.